Sunway Resort Hotel & Spa welcomes the Year of Boar with a magnificent array of set menus, dinner buffet and take home goodies from 21 Jan to 19 Feb 2019. 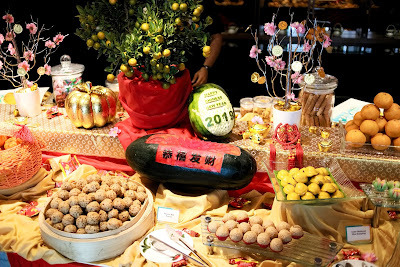 Theme as “Winds of Prosperity”, the festive offers would bring a joyous reunion for your family and friends. During the festive celebration period, the hotel's main street of Persiaran Lagoon will be festooned with red lanterns and gold fairy lights allowing all to soak in the Lunar New Year atmosphere in Sunway City Kuala Lumpur. Guests are welcomes by monumental lantern pillars with cherry blossoms and mini lanterns in the centre of the lobby of Sunway Resort Hotel & Spa, complemented by large pots of kumquat trees symbolising prosperity of luck, ushering the lunar new year. Taking centre stage is the hotel’s all-day dining restaurant, The Resort Café which will feature Executive Chef Peter Lee and his team of Chinese banquet chefs celebrated recipes, auspicious dishes and reunion dinner menus and yee sang selections for a joyous reunion. The Resort Café, the hotel’s all-day dining restaurant, located at the Lobby Level of Sunway Resort Hotel & Spa welcomes the Chinese New Year festivities with an enticing range of buffet lunch and dinner starting from 21 January 2019 to 19 February 2019. Inspired by the deep-rooted traditions of reunion dinners and gatherings, diners are invited to immerse themselves amid the interactivity, aromas and nostalgia of The Resort Café with Chefs’ masterful creations of the traditional and auspicious dishes that symbolises abundance, prosperity and good health; expansively displayed on the restaurant’s 60-meter long centre-island-buffet exhibition kitchen and also special set menus for intimate round table gatherings for the season. Amidst the Oriental corner at The Resort Café’s buffet offering, guests can indulge in the many types of celebratory Chinese delicacies which are on rotation daily such as the Crispy Fried Soft-Shell Prawn with Salted Egg Yolk, Deep Fried Barramundi Belly with Nam Yee Sauce, Chinese Herbs Braised Lamb Loin, Herbal Chicken Drumstick, Yam Abacus Seed, Roasted Duck, Braised Lion Head (Meatball) Dumpling, a variety of noodle dishes, fried rice and much more. Also available is the festive steamboat on the dinner buffet spread which will feature 48 condiments to select from and 16 home-made sauces on rotation to dip into along with numerous other toppings. At the dessert section, sweetened ‘Tang Yuen’ served with Ginger Infused Syrup or coated with Peanuts, Fried and Steamed Nian Gao, Traditional Cookies like Pineapple Tarts and Peanut Butter Cookies, and a range of Nyonya delights like Kuih Kapit, Kuih Bangkit, Kuih Bahulu, Kuih Ros and more. 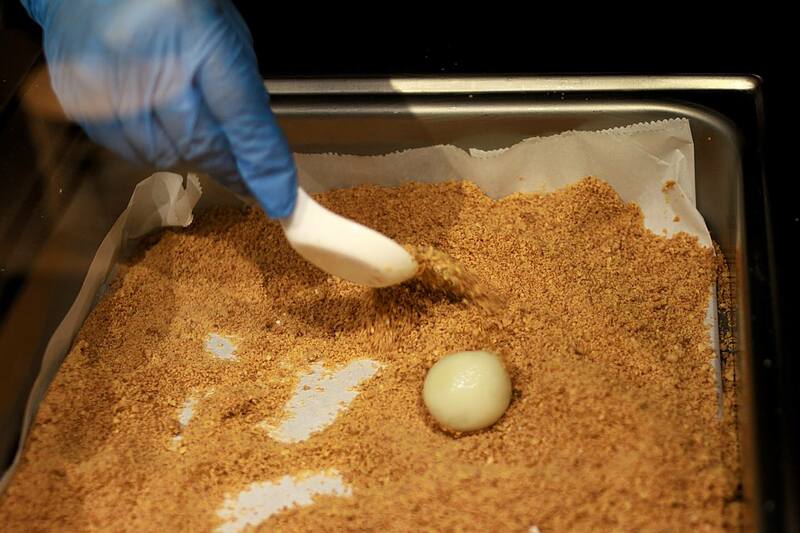 We especially love the freshly cooked ‘Tang Yuen’. This sweet dumplings served in ginger infused syrup is a must have for traditional Chinese like me because it means "Reunion". Don't miss this out when you dine there OK.
Jump-start the festive celebrations and indulge during the exciting lead up to Chinese New Year at The Resort Café’s Prosperity Buffet Dinner starting from 21 January to 3 February 2019. Be captivated by the different daily selections of nostalgic and traditional Chinese dishes during this period, which are part of the many highlights on rotation on the buffet. The pre-festive dinner buffet from 6.30pm to 10.30pm is priced at RM138 nett per adult, RM98 nett per senior citizen and RM78 nett per child. Gather your family and loved ones for a special and memorable reunion dinner on the eve of the celebration, 4 February 2019, as the Chefs have prepared a sumptuous spread for the occasion, with dishes that feels just like home. The dinner buffet at The Resort Café will offer more festive dishes on the spread and also dishes that are usually served for special occasions like Chinese New Year. 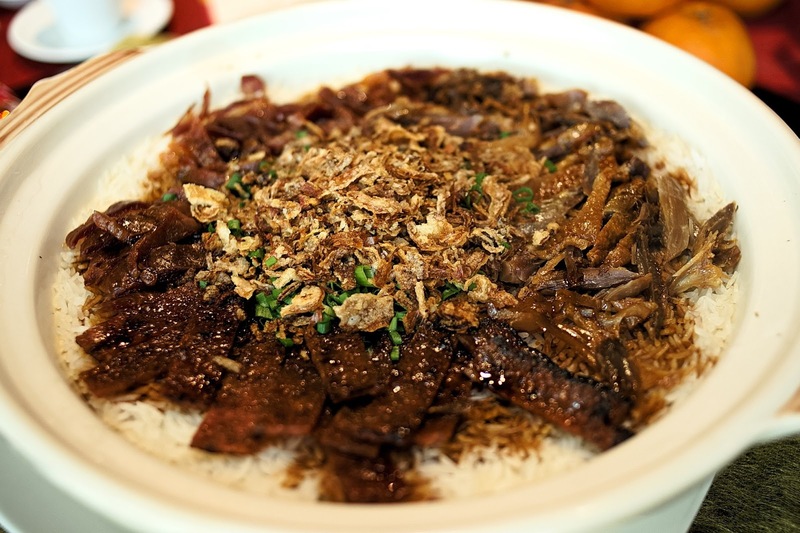 These dishes include the Waxed Meat with Seasonal Vegetables, Braised Stuffed Chicken with Herbs and Seafood, Steamed Fish Head and Belly with Minced Ginger and Garlic in Soya Sauce and more. The Reunion Buffet Dinner from 6.30pm to 10.30pm is priced at RM148 nett per adult, RM98 nett per senior citizen and RM78 nett per child. 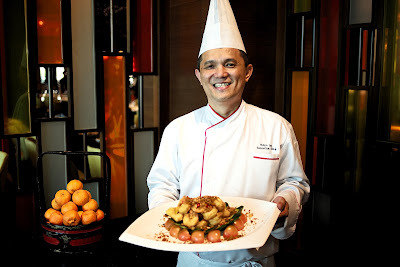 For those who prefer a roundtable reunion, The Resort Café offers three (3) set menus which are priced at RM1,688 nett (Billow of Happiness) and RM1,888 nett (Billow of Prosperity) and RM2,088 nett (Billow of Longevity) per table of 10 persons respectively. The Resort Café is able to accommodate up to nine (9) tables of 10 persons respectively. To celebrate the dawn of the Lunar New Year, The Resort Café will be offering Chinese New Year Buffet lunch on 5 and 6 February 2019 from 12.30pm to 3.30pm, priced at RM98 nett per adult and RM68 nett per child, and buffet dinner from 5 to 9 February 2019 from 6.30pm to 10.30pm, priced at RM138 nett per adult, RM98 nett per senior citizen and RM78 nett per child. Continue the celebrations and feast on the last weekend of Chinese New Year with The Resort Café’s dinner buffets. 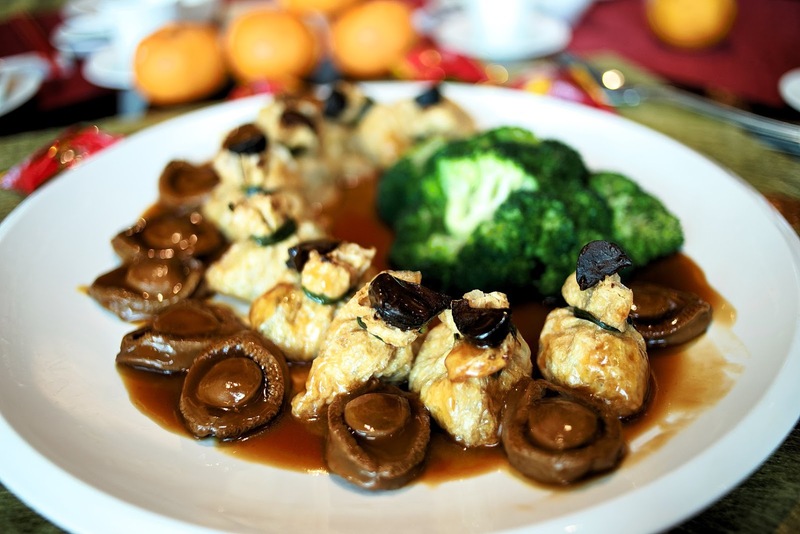 Feast on authentic Chinese dishes and other selections like Western and local delights from 6.30pm to 10.30pm on 15 and 16 February 2019, priced at RM138 nett per adult, RM98 nett per senior citizen and RM78 nett per child. 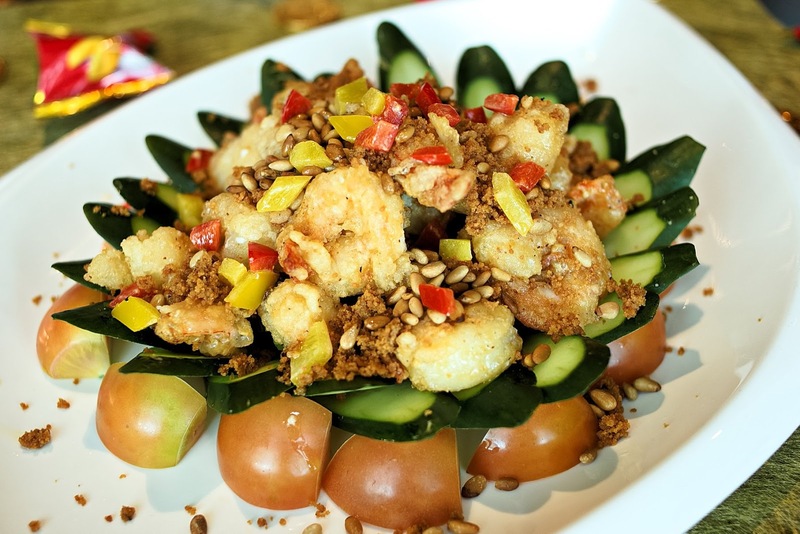 End the Lunar New Year with a bang by tossing your last Yee Sang and indulging in classic dishes for the year at our special Chap Goh Mei buffet dinner on 19 February from 6.30pm to 10.30pm at RM138 nett per adult, RM98 nett per senior citizen and RM78 nett per child. The customary tradition of the prosperity Yee Sang toss is available for both dine-in and takeaway from 21 January to 19 February 2019, The Resort Café’s Yee Sang specials are freshly prepared daily with a selection of sauces including the signature Plum Sauce and Wasabi Sauce, or be adventurous with new additional flavours this year like the fresh Avocado Plum Sauce or sweet and tangy Rojak Plum Sauce. This year, diners can enjoy up to five (5) different variants of Yee Sang which includes the Crispy Shrimp & Snow Pear, Salmon & Snow Pear, Alaska Scallop & Crispy Salmon Skin, Fresh Salmon & Soft-Shell Crab and Cooked Lobster. The Yee Sang pricing ranges from RM148 to RM228 for full portion and from RM88 to RM118 for half portion servings. For an unforgettable round table gathering, The Resort Café presents three (3) eight-course prosperity set menus for a joyous reunion with family, friends or business associates this Chinese New Year. The set menus are priced at RM1,688 nett (Billow of Happiness) and RM1,888 nett (Billow of Prosperity) and RM2,088 nett (Billow of Longevity) per table of 10 persons respectively. Some of the highlighted dishes in the set menus are the Double Boiled Chicken Broth with Antler Mushroom, Hokkaido Dried Scallop and Fish Maw, Steamed Kampung Chicken with Yam, Olive Oil Poached Dragon Trout Fillet with Cloud Ear Fungus in Superior Soya Sauce and Sautéed Alaska Scallop Roll with Assorted Vegetables. We were honoured to be invited to the media preview lunch at The Resort Café, we have truly enjoyed all the dishes presented there. Let's look into what we had on that lovely noon. 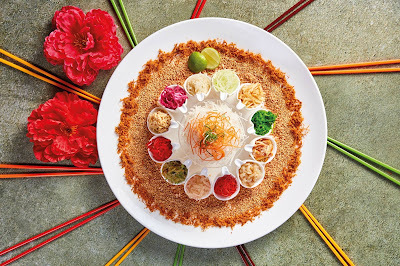 Yee Sang is traditional CNY dish that symbolize good luck, prosperity, health and all things auspicious. The significance of the tossing is to wish for abundant luck and happiness for all. Fresh Salmon and Abalone Clam with Snow Pear Yee Sang at The Resort Cafe is delicious and fresh. We like the broth that comes with great flavour and infused with precious ingredients. An auspicious dish to celebrate the Chinese New Year and wishing for a fortune year ahead. Fresh prawn meat wrapped in golden sand and pine nuts deep fried to golden color. It is crunchy outside and juicy inside. Another traditional Chinese dish for the whole family to indulge in. We like how creative the chef has prepared this puff. 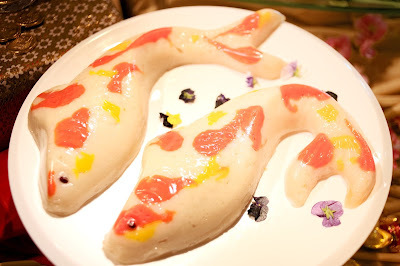 Enjoy a rich radish paste wrapped with colorful layers, nice! This is a great ending of the meal for a dessert lover like myself. 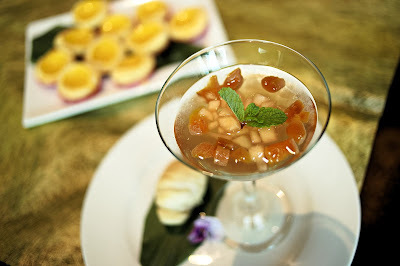 For larger and a more private reunion, diners can opt to dine and host the dinner in the hotel’s function rooms. Two (2) eight-course set menus, priced at RM2,200 nett and RM2,500 nett per table of 10 persons respectively; available from 5 January to 28 February 2019. Some of the unique dishes prepared by our chefs includes the “Shunde” Style Braised Seafood Soup topped with Lobster Oil, Rock Melon Consommé with Dried Agaricus Mushroom, Hokkaido Scallop and Sea Conch, Roasted Chicken with Home-made “Ma Lat” Paste and Pumpkin Pickles, Steamed Dragon Tiger Grouper with Golden Papaya Pumpkin Broth and Crispy Fried Stuffed Shell Crab with Glutinous Rice. A minimum confirmation of five (5) tables of 10 persons will be required. 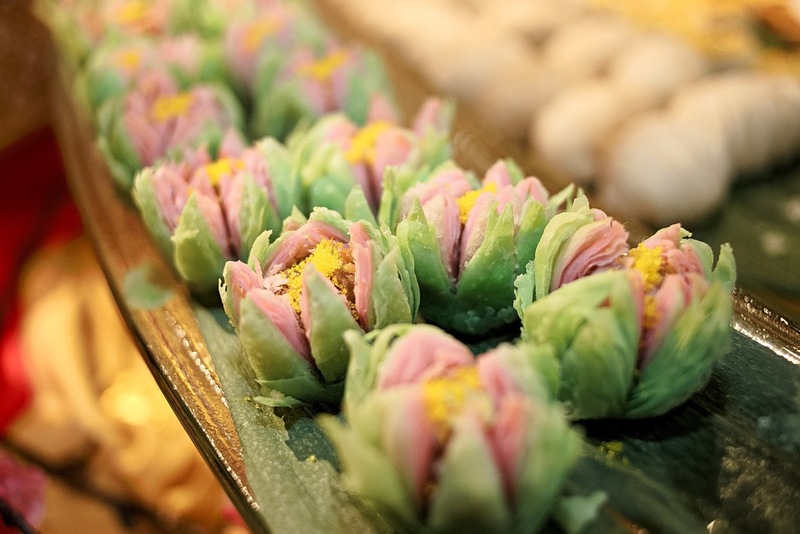 For enquiries on the Banquet CNY Festive set menus, please speak to our catering specialists at Tel: +60 3 7492 8000 or email directly to srhs.eventsales@sunwayhotels.com. For reunions at home during the Chinese New Year festive season, The Resort Café brings added convenience for takeaways featuring a range of delectable meat. Pre-order and choose from four (4) types of meat which includes the Roasted Black Garlic Chicken at RM128 nett, Roasted Duck at RM148 nett, Braised Duck with Stuffing at RM188 nett and Double-Boiled Kampung Chicken with Premium Stuffing at RM588 nett. Each bird adequately serves six (6) to eight (8) persons. For a getaway this Lunar New Year, choose from the numerous packages to suit a variety of preferences; Sunway City offers a cluster of three hotels with a collection of more than 1,400 guestrooms, suites and pool villas available in Sunway Resort Hotel & Spa, Sunway Pyramid Hotel and Sunway Clio Hotel. Enjoy and have a memorable family vacation with rates starting from RM430+ per night including breakfast for two (2) adults for stays between 21 January to 19 February 2019. Rate is quoted in Ringgit Malaysia and subject to 6% service tax and related prevailing taxes and/or charges. For room reservations, please call +60 3 7492 8000, 1-800-82-8888 (toll-free Malaysia Only) or email directly to srhs.reservations@sunwayhotels.com. For guests who book directly on www.sunwayhotels.com, fantastic savings and rewards await. Usher in the New Year with a showcase of Chinese New Year Lion Dance performances on Tuesday, 5 February 2019, on the first day of the celebration at Sunway Resort Hotel & Spa’s Main Lobby at 8.30am. Guests are invited to catch the amazing performance as the lions perform energetic jumps and moves to the loud beat of the drums symbolic for reigning in good fortune, success and prosperity.